Sound Asleep - Short Film - Don't take insomnia lying down!Sound Asleep – Short Film | Don't take insomnia lying down! Don't take insomnia lying down! We haven’t updated this site in a while as a lot of our activity has been exclusive to backers, via our Kickstarter. But as we approach our shoot, I’ll add some content here too. I’d like to welcome to the team our latest members. Danielle Harvey is our new producer, Anthony Neale is our production designer and Poppy Lloyd is our casting director. And while I can’t reveal names until things are signed, we have received support from one of the British film industries top foley artists, and we are days away from confirming our very favourite and first choice comedy actor to play the role of Dean. 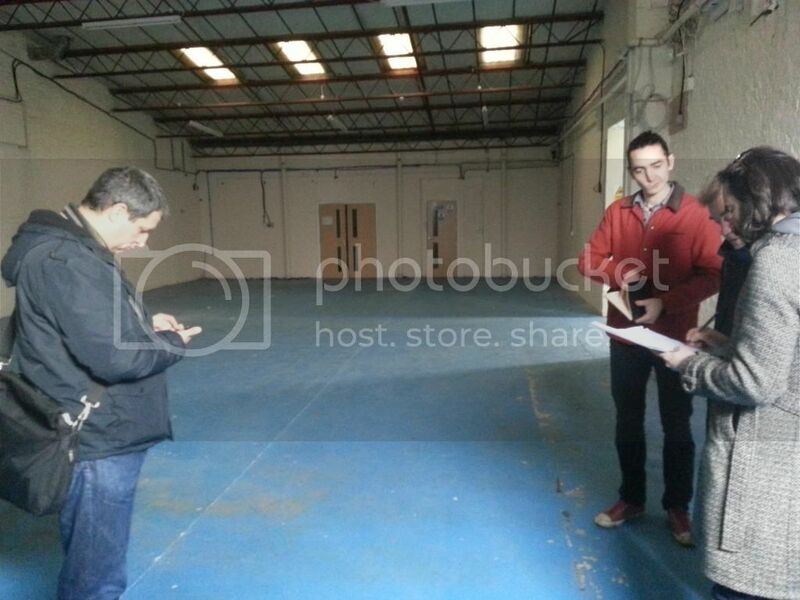 Anthony is planning to build Dean’s flat, and here we are visiting the space we think we might do it. Thank you so much to all our backers on Kickstarter and to everyone who shared and posted about the project. Thanks to you we not only successfully reached our funding goal, we exceeded it by 25%. The project is now greenlit and we are currently casting, hiring a few additional key crew members, working on locations and developing effects. We are also working on the rewards that you have chosen. The kickstarter campaign was fun, exciting and challenging. Some of the highlights include: Nadaav being interviewed on London Live with a pillow over his head, leading a massive pillow fight in Trafalgar Square and counting it in with the help of Barking Bateria samba band, being retweeted by insomniac comic actor Matt Berry, telling bed time stories, running laughter yoga and another pillow fight to a sleep-over party of 200, giving away loads of prizes, and our final closing party with live music, live opera, short films, magic and quizzes all themed around sleep. There’s still time to back us and get your rewards! But it’s not too late to get involved. If you would like to join the team of backers and supporters helping make Sound Asleep happen, and attend our backers only parties and events, and maybe even be in the film, have a look here. Here are a few photos from the month. For more, check out the kickstarter updates. Wow! We launched our Kickstarter campaign with a massive pillow fight! 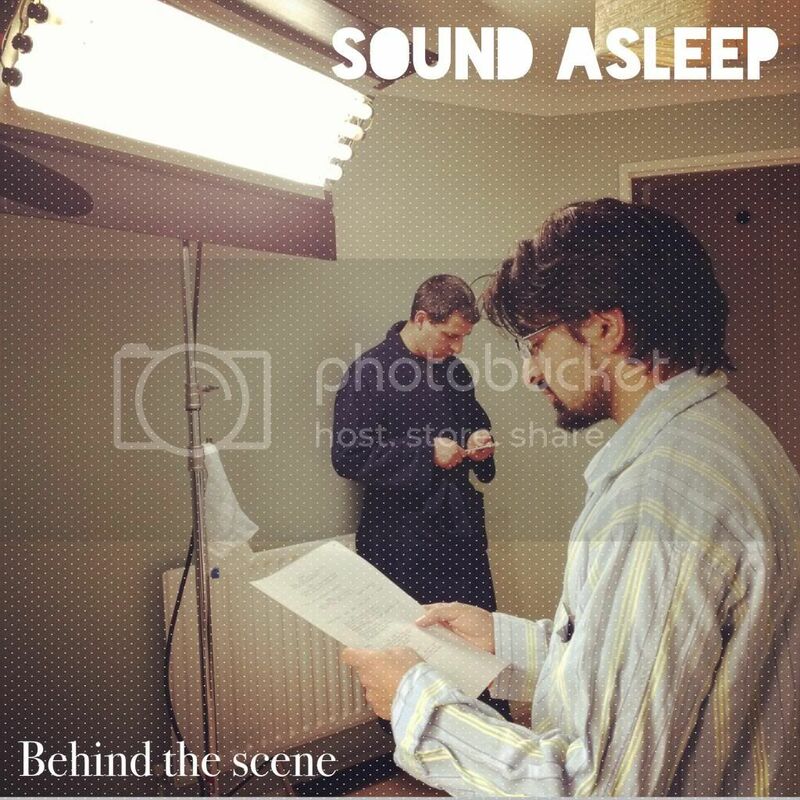 Sound Asleep is a short comedy about insomnia. And the very best fun you can have when you are stuck in bed and can’t sleep is a pillow fight. Or at least the most fun thing we are allowed to talk about here! So we hit trafalgar square with a ton of pillows to launch our kickstarter campaign. And Wow! I think that might be the best kickstarter launch ever! Several thousand people bashing each other with pillows in central London. There was a samba band (Barking Bateria), lots of pyjamas and some amazing outfits. We were featured in the press, including this cheeky article in Timeout. And we took rather a lot of photos. Check us out on Kickstarter, if you haven’t already. At the Trafalgar Square Pillow Fight today we will announce that Sound Asleep is now live on Kickstarter. This is where you can show your support for our film, and get involved, grabbing some super sleepy rewards, and maybe even an appearance in the film. Sound Asleep Announce 2014 Pillow Fight! 2014’s Sound Asleep London Pillow Fight is a World Record Breaking Attempt! Get yourselves down to Trafalgar Square at 3pm on Saturday 5th April 2014 for London’s World Pillow Fight Day. It’s going to be massive! Full details of Sound Asleep at the London Pillow Fight 2014 here. Like us on Facebook or follow us on Twitter for all the latest updates about the event. If you like what we do, please support our movie, coming soon. Check out our Crowd Funding page to see the ways you can get involved. And drop us an email if you have any suggestions you’d like us to offer or make happen. Keep ’em clean though! We love flash mobs and wanted to make one so we could bring our film to a bigger audience. Sound Asleep is all about bed time, so we decided on a massive pillow fight, in pyjamas. You can tag yourself, view loads more and enter our competition on our facebook page. 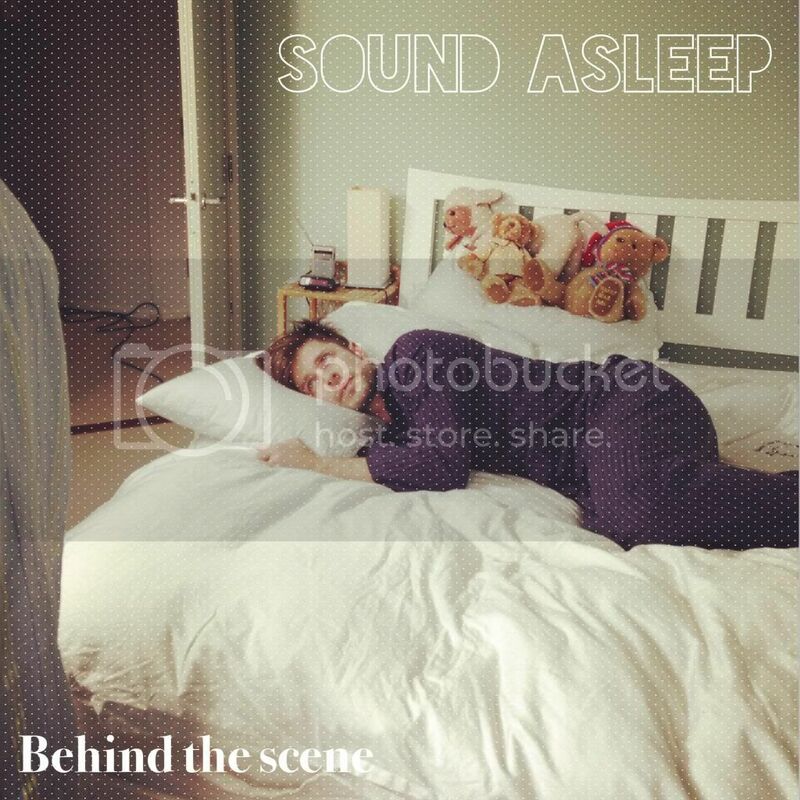 While we edit the video, which introduces a few of the crew and tells a little more about the story, feel free to enjoy these behind the scenes photos, taken by Digpal Singh Rathore – everyone you see is part of the Sound Asleep crew. The crew struggle to stay awake. the crew didn’t realise they’d have to learn lines. Sound Asleep has a logo! Let us know what you think of the first draft of our logo, designed by the very talented Peter Ayres. Welcome To Sound Asleep – A short film comedy about insomnia. This site is still a work in progress as we prepare to launch the final push of our funding campaign. You have found us in our infancy, a perfect time to get involved. While you are here, have a little read about the film. I’m a part time insomniac. There, I said it. Dean is an insomniac too. And Sound Asleep is the story of the night Dean finally cracks. Dean Peels is a self help writer who can’t seem to help himself. With that name maybe it was inevitable that his need for sleep would permeate his life. Even his motivational books are peppered with accidental references – titles like Wake Up And Smell Your Success, Get Up and Take Control of Your Future, and my personal favourite, Stop Dreaming – Start Winning. Tonight is the umpteenth time in a row that Dean is kept awake. But this night, Dean won’t take it lying down! Sound Asleep is a no-dialogue film, but not quite a silent movie. Sound design is central to the film as we hear all the noises that keep Dean awake, and he tries to work out how to deal with them. The performance is influenced by the golden age of silent comedy, and the physical comedy of Rowan Atkinson, but brought bang up to date. It’s a strikingly unusual take on a subject that has affected most of us at one time or another. It’s stylish, witty and universal. 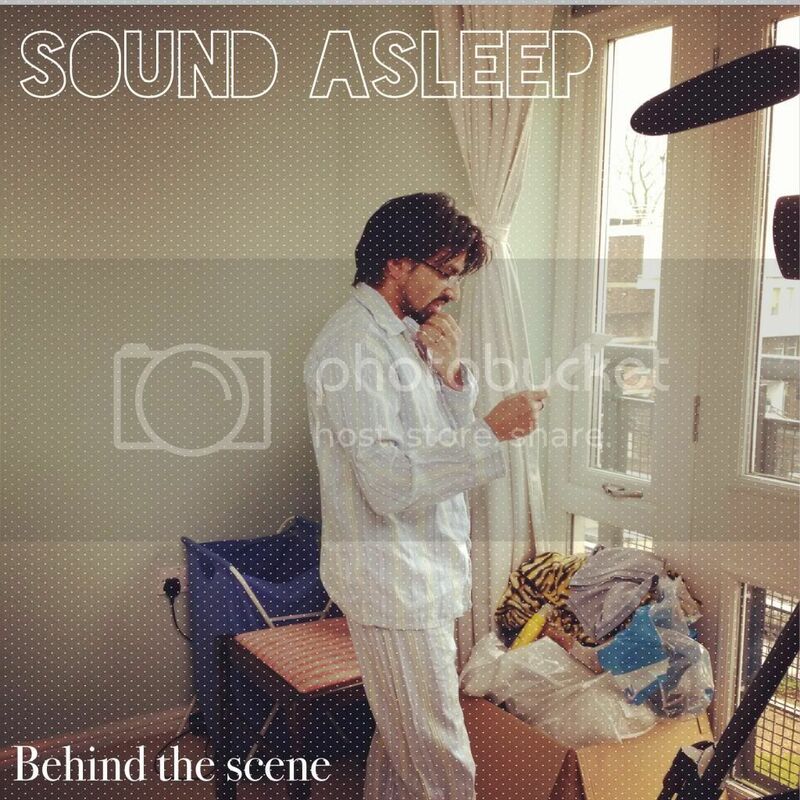 Sound Asleep is the second independent short comedy written and directed by Nadaav, after 2010′s The Opera Singer. Producers Ajay Arora, Paul Giordani and junior producer Shyam Popat are now driving the project forward, and production is set for summer 2013. The project is partially funded and with the help of Annie Rowe we are currently casting the role of Dean. If you want to know more or get involved, drop us a line. You could also have a look at our Be A Part Of It page, which outlines our current opportunities – at the moment financiers, exec producers and production designers. We’d also love to hear from artists (digital, drawing etc). The film has some product placement/branding opportunities, especially for sleep spas/sleep centres, and other sleep related products (sleeping pills, remedies and aids, bedding and mattress brands, ear plug brands, sleep clinics etc). Please get in touch if you are interested in this unique branding and sponsorship opportunity.